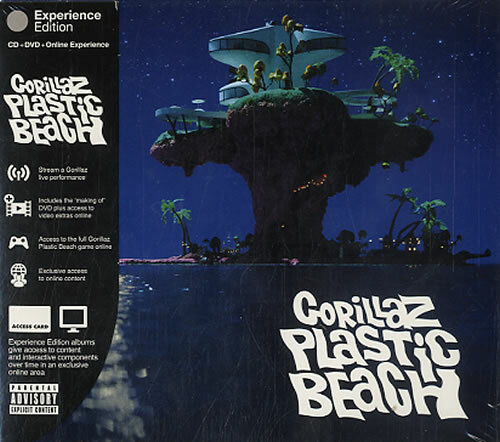 GORILLAZ Plastic Beach (2010 UK 'Experience Edition' 2-disc [CD/DVD] album set comprising the 16-track CD album which includes the single Stylo featuring guest vocals from Mos Def and Bobby Womack. The album also includes appearances by SnoopDogg, De La Soul, Gruff Rhys, Mark E Smith, Lou Reed, Mick Jones, Paul Simonon and more. 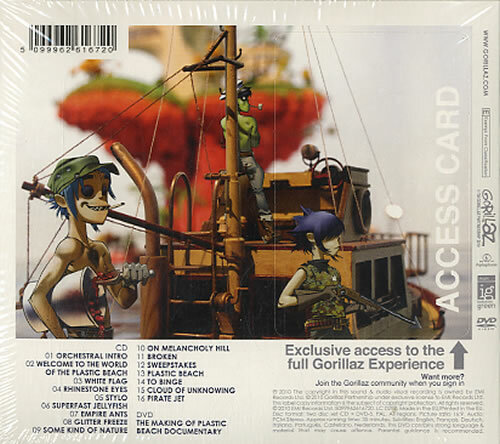 Also includes a Bonus DVD featuring making-of footage with access to video extras online [a stream of a Gorillaz performance, full version of the'Plastic Beach' game and exclusive wallpapers/screensavers. Housed in a gatefold card picture sleeve with a 16-page ebooklet and obi-style strip with access card - still sealed).